JOIN US! GENA is honored to be the 'opening act' workshop presenter at the Lewisburg Literary Festival on Film Adaptation! Sat. August 4th at 9:30 am @Greenbrier Valley Vistors Center in historic and hip Lewisburg. We'll view one of Ursula's short films adapted from a song and the opening scene of Gena's film. Spend the afternoon at Carnegie Hall on the main stage with podcaster Anna Sale, poet Nikki Giovanni and author David Sheff! Come on out Friday Aug. 3, book signing @GVC from 5-9 pm and Greenbrier Artists "Poetry Inspires Art". There's more Friday with champion poets slammin' it up at Lee Street Listening Room @7 pm. Join the literati @Hill and Holler at 9pm for a Qiet concert and great pizza and drinks. Thank you LLF for this opportunity! Also view the new public art installation by Charleston's Gregg Oxley at City Green Space! What a literary weekend coming up! APRIL 21st! Crick in the Holler won Best Student Film at the Tupelo Film Festival at the Malco Theater on Sat. April 21st. It screened at 0 am and again at 730 pm. So thrilled to be part of this great fest where Angela's Decision won Ron Tibbetts Best of Show. So many great films this year. We are honored! Crick in the Holler, written and directed by Ursula Ellis, will screen at the Beloit International Film Festival, Friday, 2-23, @730 pm at La Casa Grande in Beloit, WI. Ursula and producer Emerson Nosek will be at that screening. It screens again on Wed, 2-28, @530 pm at Hendricks Arts Center in Beloit. Congrats! A big thank you Ariana Marquis for being the face of Rosa and bringing her to life at the Live Read in Toronto at the Female Eye Film Festival. Check out Ariana's website and film reel. 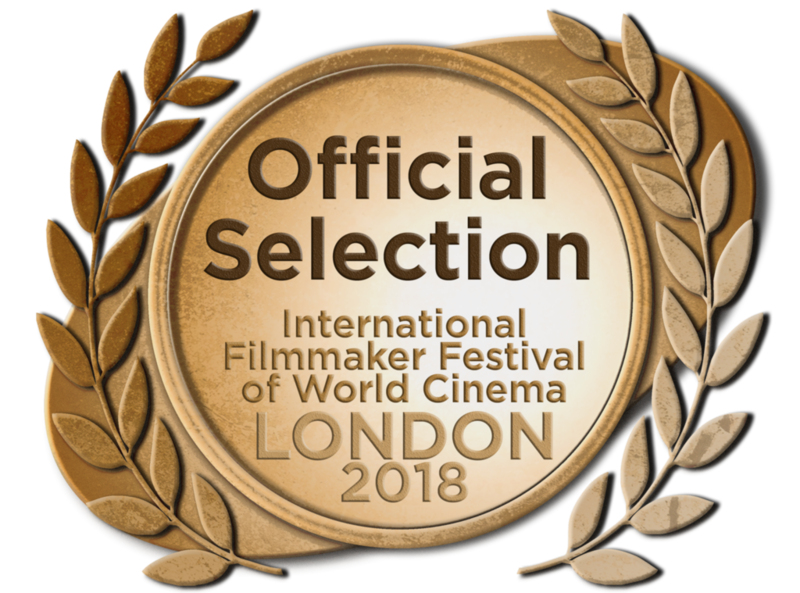 Thanks to 2018 London IFF for the great design. The London IFF runs Feb. 10-17! ROSA is nominated for Best Unproduced Screenplay! Rosa and the Black Tulip is featured in FILM magazine on page 35. Thanks to London IFF for the great design and nomination! Rosa and the Black Tulip script has been nominated for the London International Filmmakers Festival, Feb. 10-17! ROSA will be featured in FILM magazine, produced by LIFF. The background design on our websited is courtesy of LIFF. Thanks! 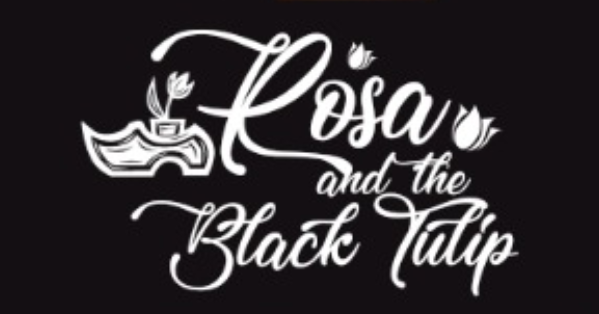 Rosa and the Black Tulip has placed RUNNER UP in TinselTown! Thank you TinselTown and for the script coverage and consult. CiTH is in another festival and Ursula and Emerson are off to the Beloit International Film Festival in Wisconsin in February!Producer Ben Gojer and set designer Carrie Heckel will join them. For George on His 30th Birthday nearing completion in post! Written and directed by Ursula. Starring Michael Esper and Allie Gallerani. Filmed in Huntsville and Madison, Alabama. Amazing film festival run so far for Crick in the Holler, written and directed by Ursula Ellis. Emerson Nosek also produced. So excited for Gena's screenplay, Rosa and the Black Tulip, to be a Semi-Finalist in the Rhode Island International Film Festival. A top 10 film fest! Thanks for the pass for 2018, see you there! Thank you for your Indie GoGo donations to complete this film! Gena's book, ANGELA'S DECISION: A Journey of Adaptation, is available on Amazon.com. Part memoir, part filmmaking info, it also contains the original short story, "Billy's Return," and the adapted screenplay. Two bonus stories are also included, Christmas Tradition, based on Korean War letters sent home, and An Ethnography of Those Left Behind, a post-modern story on Iraq War. 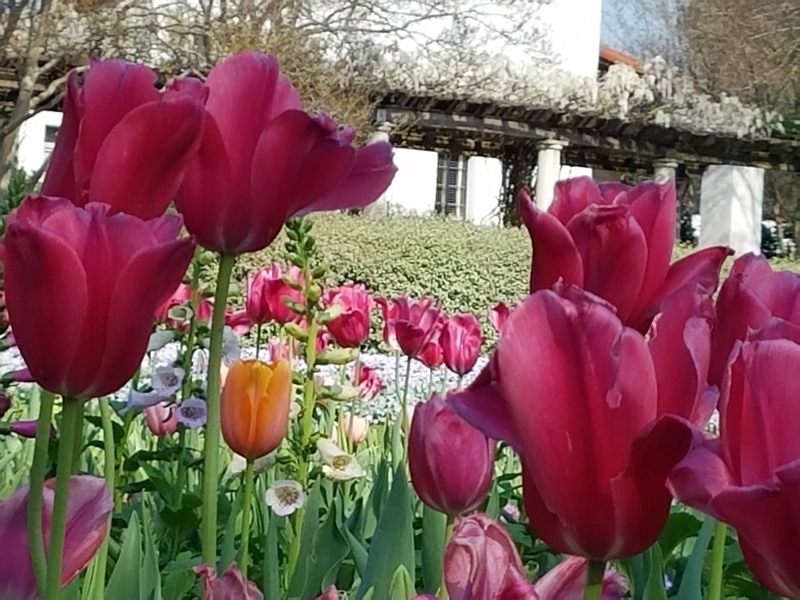 Gena's feature screenplay, Rosa And The Black Tulip, is a semi-finalist in the Richmond International Film Festival. 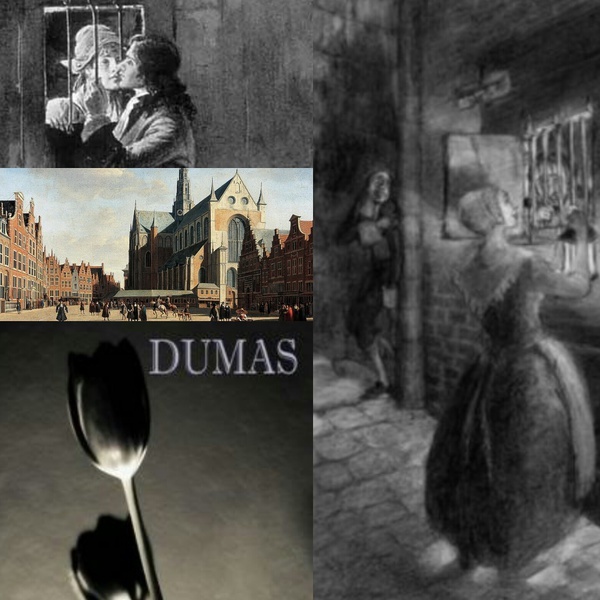 The part drama, romance and adventure set in 1670s Holland during the tulip market frenzy is based on Alexandre Dumas' novel The Black Tulip. Crick In The Holler is in production in WV, Dec. 13-19. So excited to be filming in Gena's hometown area in Nicholas County and John's in Summers and Greenbrier Counties! Director-writer Ursula Ellis is on the ground a few days early with her set designer Carrie Heckel from Chicago and a team from WV. Filming first at the Carrington Richmond family farm and a house in Alderson, WV. (Ursula's late grandfather's farm). Then filming final days in Summersville area with locations in Mt. Nebo and Kesler Cross Lanes. We have 68 folks from WV involved on the film! Statewide and local folks. Of a cast and crew of 83. Welcome to the NYC team of 13! An two from Chicago and supporting actor Christopher Terrell from NC. Leading actors are Rebeca Robles, Chloe Roe and Van Hansis. DP Nick Perron-Siegel brings great cinematography experience. Produced by Ben Gojer, Kiera Kyoto Lewis, Emerson Nosek, and Nadia Zoe. And Gena is co-producer. John is also on set to work! The radio drama, Out of Sight, was recognized by the BBC's 25th International Radio Playwriting Competition, sponsored by the BBC World Service and The British Council. The play by Gena was Highly Commended as one of the top 10 in English as 1st language and top 28 overall of over 1000 record entries. The play deals with homelessness and wealth, set in Chicago. Rosa and The Black Tulip (feature) and Angela's Decision (TV pilot) are official selections for the Los Angeles Lift-Off Film Festival. Gena's script, Rosa and The Black Tulip, was awarded as a Semi-finalist in the Williamsburg International Film Festival in NYC in September. Gena's scripts, Rosa and The Black Tulip (feature) and Angela's Decision (TV pilot), were selected for the Los Angeles Lift-Off Film Festival in Sept. 2016. Ursula's short Columbia MFA thesis film, entitled Crick in the Holler, was awarded a generous grant from the Alfred P. Sloan foundation in the amount of $20,000. The film is in pre-production and the grant makes it possible to shoot on location in West Virginia, where the film is set and Ursula's family home resides in early December. Rosa and the Black Tulip won RUNNER UP, Best Screenplay at the Female Eye Film Festival in Toronto! Thanks Female Eye! Gena will speak Sat, April 15th, about her journey as first a screenwriter which led to being a producer, and then how she ended up on screen in films such as Transformers 3 and the highest-grossing Bollywood film in North America, Dhoom 3. And also on TV shows- Nashville, Chicago Fire, Shameless, Boss, Underemployed. And how that led to publishing a book about her journey and film, Angela’s Decision. In addition, she’ll be screening her 2007 Ron Tibbett Best of Show film, Angela’s Decision, on Friday evening and speaking afterwards. UPDATE: For George On His 30th Birthday, starring Michael Esper and Allie Gallerani is in post-production. Michael recently had a role in David Bowie's Lazarus at the New York Theater Workshop. We offer our sympathies to Michael and the rest of the cast and crew, and of course to Bowie's family. Our hearts our saddened by the loss of this great artist. Catch Michael in NBC's new cop drama, Shades of Blue, starring Jennifer Lopez and Ray Liotta, and in ABC's new drama, The Family. His work includes A Beautiful Mind, Frances Ha, Nurse Jackie, plus Broadway shows The Last Ship and American Idiot. Allie's credits include Woody Allen's Irrational Man, Lady-Like, The Good Wife, plus two of Ursula's other films. Thanks to the folks of Huntsville and Madison, Alabama for their hospitality and support during the shoot. And also thanks to the great crew and cast from NYC, Chicago and Alabama. To donate to this student film (Columbia University MFA Film Program), send to Forgeorgeonhis30th@gmail.com through Paypal. Ursula was a Quarterfinalist in The Academy Nicholl Fellowship in Screenwriting 2015. Congrats! Gena kicked off 2016 with a radio drama for the BBC's 25th Annual Radio Playwriting Festival. Gena recently submitted her dramatic script, OUT OF SIGHT, to the 25th International Radio Playwriting Competition, sponsored by BBC World Service and the British Council. She's now at work on a script for a TV network. Billy's Return to Angela's Decision: A Journey of Film Adaptation, is now available on Amazon. It includes Gena's original short story, adapted screenplay, photos from the film, and an excerpts of the TV pilot script. She also writes about her journey as a screenwriter, her adaptation process, film festivals rounds and more, and how part of the journey deals with the war in Iraq and army life. Great for film students and film fans. Ursula, who wrote and directed For George On His 30th Birthday, is in post-production on the film. Gena is Co-Producer of the film, which filmed in Hunstville and Madison, AL in Sept. 2015. Ursula is also wrapping up post on her other film, This is Not a Love Song. BDP is excited to be on the ground in Ursula's 'hometown' of Madison/Huntsville, Alabama filming...For George On His 30th Birthday, starring Michael Esper and Allie Gallerani! And with awecome crew from NYC, Chicago, and AL crew/actors. If you'd like to donate to her film, send to Forgeorgeonhis30th@gmail.com through Paypal. Thanks! Donation site coming soon...thanks to the restaurants in Madison/HSV that have already signed on to donate food! Ursula is a Quarterfinalist in The Academy Nicholl Fellowship in Screenwriting. Congrats and good luck! When All's Said And Done is now on CDBaby.com. Available on iTunes, Amazon, Spotify, and other venues soon. Music, vocals, guitar by Ursula. Lyrics by Gena. Dedicated to military families and part of proceeds go to a military/veterans organization. Enjoy! Gena has a new short story on Amazon called Hillbilly Chocolate. Just a funny little 'ol story about a family reunion and childhood pranks. Free download on July 26. Columbia short, Touch, directed by Stephen Lee and produced by Ursula Ellis premiered at the Los Angeles Film Festival on June 11th. Ursula's feature script, Anomalies, is a quarter finalist in the CineStory Retreat and Fellowship...stay tuned. Seven Story Sycamore, Ursula's first Columbia University grad project screens at the Eighth Columbia Gorge International Film Festival in OR or WA, August 6-16! Starring our own wonderfully talented Emerson Nosek and the immeasurably talented Allie Gallerani (who also starred in The Ballad of Barbara Allen). 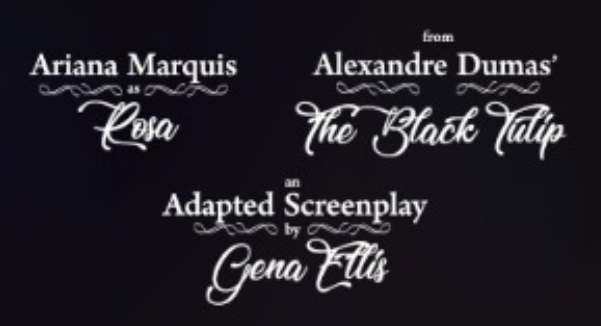 Gena's screenplay, Rosa and The Black Tulip, placed Second in the feature script competition in the Los Angeles Independent Film Festival in April. The script is a finalist in the Honolulu Film Awards also. Gena gave a lecture/workshop on Writing the Film Adaptation at the 12th Annual Tupelo Film Festival on April 18th at the Malco Theater. She screened Ursula's film, The Ballad of Barbara Allen, adapted from the 17th century ballad, during the workshop, as well as showing a clip of Angela's Decision. Click to see on Vimeo.com and on Amazon.com, respectively. Spring 2015 brings film festival jury duty. Gena's honored again to judge student shorts for Tupelo Film Festival, April 16-18. Ursula's also judging the screenwriting competition for Columbia University Film Festival held in May on the Columbia campus in NYC. Gena's new short, Hillbilly Chocolate, a humorous story set in Appalachia, is available on Amazon.com. She plans to adapt to short film. Ursula's in second year of MFA directing program at Columbia University in NYC. View some shorts at her Vimeo page. She's gearing up to shoot her second year film in Alabama end of summer 2015. She filmed her first year film summer of 2014 in Asbury Park, NJ. FALLIN' FOR YOU music video is NOW on Vimeo! Ursula conceptualized and directed, and Emerson Nosek and Steph Noonan produced. Congrats to band Young Jesus and cast and crew! Screened at CIMMfest Chicago and other festivals, such as Tupelo and George Lindsey UNA. Northwestern University's 2012 NITESKOOL Music Video. Ursula is off to attend Columbia University for an MFA in Directing! Congrats! Scouting locations for a Phillip Phillips music video in St. Louis. Congrats Ursula and Niteskool crew on another fest! Fallin' For You music video screens at CIMMfest, Saturday, April 20 at 4:15 pm, The Logan Theater in Logan Square, Chicago, with 50 min UK doc, Last Shop Standing, screen 4. An ambitious and unconventional romantic music video with elements of graphic novels, Charlie Chaplin comedy, and indie hipster chic, filmed in Chicago. That's Chicago International Movie and Music Festival, get tix now! Gena's book, Billy's Return to Angela's Decision: A Journey of Film Adaptation, will be available soon on Amazon. This will include the original short story, original script, and final script. Big thanks to Director Mat King and all cast/crew who made this a global filmmaking success. Mat has gone on to direct Doctor Who and UK Law and Order, etc. Lead actor Xavier Samuel has gone on to co-star in features, including upcoming film with Naomi Watts and Robin Wright, and Twilight's Eclipse. Gena has screened and spoken about the globally made Indie film and her experience at university film programs, film fests, and art centers. Please contact her if you are interested. The film was written by Gena and filmed in Australia, original music composed in Spain and UK, and won many film fest awards in the U.S.
Gena's judging shorts and animation in the Tupelo Film Festival, May 15-19, 2013. Great Fest! Go if possible. Angela's Decision won Best of Show 2007. Congrats to John Rossiter and band Young Jesus, and actress Emma Stern! And congrats to Ursula, Emerson, Stephanie, and the Niteskool cast and crew! Catch the Sundance Doc, "Muscle Shoals," on Friday of the fest also! FOURPLAY screening now near you (Chicago's Siskel Center Feb. 22-25). Ursula helped distribute the Sundance/Cannes selection directed by Kyle Henry. Chicago Acting and Crew News! Gena has appeared in 5 episodes of Chicago Fire, Weds at 9 pm, CST, or watch online. Find casting info on Facebook under Darling Series and Chicago Fire Extras pages, cast by Joan Philos. FEST NEWS!!! 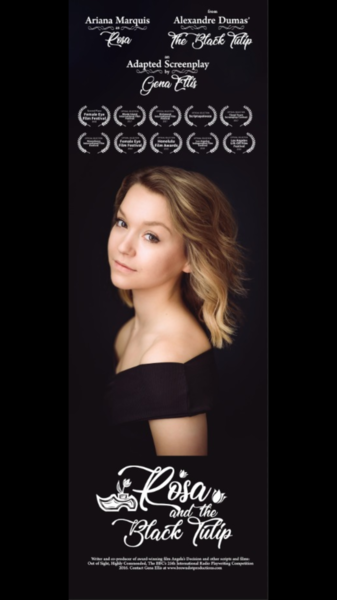 Ursula's music video, "Fallin' For You", has been selected for the 16th Annual George Lindsey UNA Film Festival in Alabama! It's in the Vanguard category...congrats Ursula and Niteskool team! Also, congrats to the featured band, Young Jesus! This is Northwestern University's 2012 Niteskool Music Video which Ursula directed. Check out our FILMS page for more info and links on the video and band, and view Ursula's Press Kit page for photos from the video. Mark your calendar for first weekend of March if you're in the fest area. It's a great festival! Ursula is the Post-Production Associate at See3, a Chicago-based interactive communications agency that works exclusively with non-profits. Check out the First-Ever Benchmark Survey the agency is doing, partnered with YouTube and Edelman, about online video usage by non-profits. And if you're an Org, please take the survey! 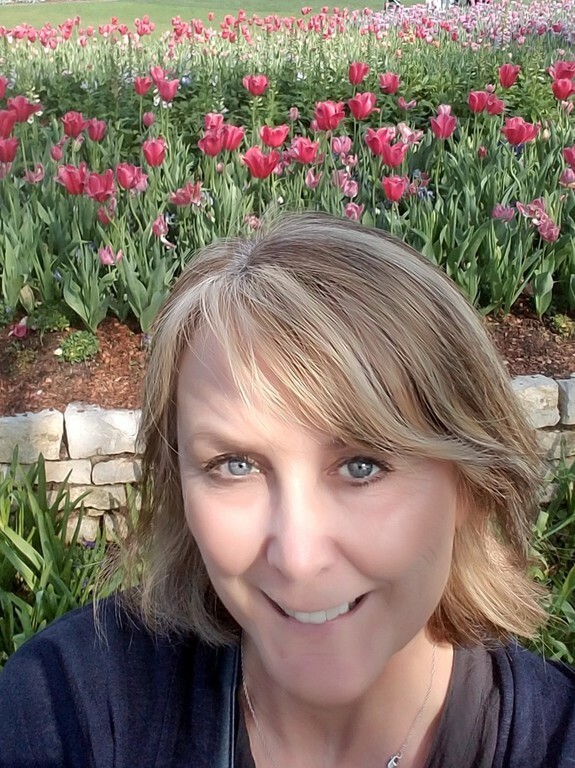 Gena published her first e-story on Amazon. A very poignant story during 2013, the 60th anniversary of the Korean War Armistice. Download Gena's e-story, Christmas Tradition, available on Amazon. Download FREE Kindle Reading App if you don't have an E-reader, for phone, tablet, or computer. See Writings page for more info. War Is Kind AND Niteskool are completed and now on to film fest submissions. Take a look at Ursula's Press Kit in meantime for stills and media. And Ursula's Directing Reel with clips. Check out Writings page for Gena's holiday article, Christmas Past, for SOLDIERS magazine, published Dec. 1997. It provides a very poignant snapshot of how soldiers celebrated holidays in wars past, WWII, Korea, and Vietnam. Gena wrote when serving in the Army. Gena just finished another episode of Chicago Fire as background actor...see Acting News for more. And great news that it's been picked up for a full season! Watch this HOT new drama, and you'll be hooked! The Ballad of Barbara Allen screens in The Next Frame Online Competition. Congrats Ursula, cast and crew! Click on the link for your own viewing. Gena has been delving into life on the other side of the camera. See Acting News for her on-camera news about films and TV shows being filmed in Chicago. These include new shows, NBC's Chicago Fire and MTV's Underemployed. Gena judged student films for the 2012 Tupelo Film Festival, held annually the second weekend of May. ANGELA'S DECISION won the festival's overall Ron Tibbett Best of Show award in 2007. We highly recommend this festival! And the films, food, and hospitality are top notch. Just ask Chicago filmmaker John Mossman His Film Into The Wake won the 2012 Ron Tibbett. Congratulations, John! And it's screening on Monday, Oct. 29th at the Gene Siskel Center at 7:45 pm. The George Lindsey UNA Film Festival holds great importance to me, Ursula, and Brown Dot for many reasons. While some say the 'big' festivals hold the greatest honors for filmmakers, I would say it all depends on a filmmakers perspective. The 'little' fests are sometimes even better. You never know who you'll meet. And the behind the scenes folks at UNA and films fans are wonderful. I had the honor of interviewing George Lindsey in 2006 for a magazine article about him and his namesake/alma mater film festival. I attended again with Ursula and placed second in the festival's feature film category in 2007 with Angela's Decision. Having Ernest Borgnine in the front row and meeting him was also a highlight of the 2007 festival year. Ursula and I returned again in 2008 for me to speak on a panel, when Billy Bob Thornton and Natalie Canerday headlined with their one-time only SLING BLADE reunion. Wow, do Ursula and I have some festival stories to tell! I also had the pleasure of interviewing Danny Vinson also in 2006 and meeting Natalie Canerday. These two actors and George Lindsey graciously signed on a few years later for roles in my script "Down Home" in development with Brown Dot and LA companies. I had also spoken with Borgnine's manager, for "Down Home," and had even rewritten the two roles just for George and Ernest. They were to play two meddling uncles. I could just see nobody else but them playing these characters! Ursula and I mourn with the UNA and festival community the passing of these two great actors and best friends, and also thank them for our first film fest experience and continued participation. I have judged their script competition. We here at Brown Dot will never forget George Lindsey and the festival. As a matter of fact, I originally created Brown Dot to help produce "Down Home." Thank you George Lindsey and Ernest Borgnine for all the tears and laughters from your on screen, and off screen, personalities. You'll always live on the big screen and small screen of our lives! So go to festivals, the big and 'small' ones. You never know who'll change your life. Brown Dot is proud to produce In Association With another Ursula Ellis film, WAR IS KIND. Of course we are proud, she's one of the family! Brown Dot Productions moves to Chicagoland! Ursula is interning this summer in the Big Apple. We don't have to tell you all the great shows on this network, but in case you've been living in a cave, click here for AMC shows. Congrats Ursula! Gena and Ursula have spent time in New Mexico and know first hand that it's an awesome film and festival state. 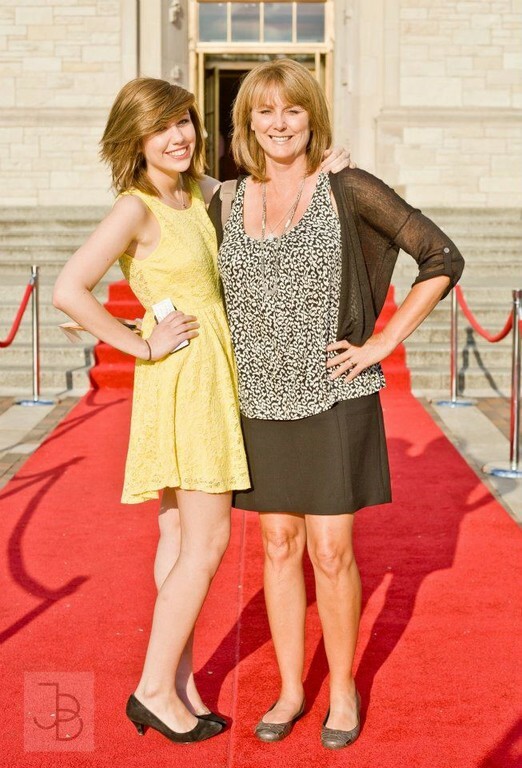 Gena is a finalist judge for the 2011 George UNA Lindsey Film Festival feature screenplay competition. Gena script, DOWN HOME, is in development in Hollywood with actors signing on for her romantic comedy of mistaken identity set during a Southern family reunion. Natalie Canerday and Danny Vinson have been attached. George Lindsey's manager also says he's on board, and a close friend of Mr. Lindsey's has expressed interest and has the script. Natalie is well-known for her mainstream and Indie films. She's best known for her roles in Sling Blade, October Sky and Walk The Line. Danny has been in numerous films, with his next role in Brad Pitt's Christmas day release The Curious Case of Benjamin Button. He was also in Oscar-winner Two Soldiers and Walk The Line and comedies, Talladega Nights and Leatherheads. Xavier Samuel is the new featured vampire, Riley, in the 2010 Twilight Saga: ECLIPSE film. He portrays Will Turner, the male lead, in ANGELA'S DECISION. The Twilight series is lucky to have such a great actor. Congrats Xavier! Gena has been tapped to teach a screenwriting class at a St. Louis university during Fall 2009. Sign up at the Webster University site. Gena's film, ANGELA'S DECISION, is now available on Amazon.com. NTSC - PAL - Amazon Video on Demand. ANGELA'S DECISION has picked up another award for Best Adaptation at the 2009 WorldFest Houston International Film Festival!